Mike Kimberley had the most liked content! 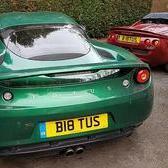 A very big thank you To Andy/Bibs for all of his hard work that made the TLF Saturday dinner and Sunday International Lotus day at Brooklands so very successful and a most enjoyable occasion for all Lotus owners and enthusiasts. Many thanks also to Bell & Colvill who were pre-eminent as always. My personal thanks to all who attended and spent so much time & effort preparing, showing & displaying their great Lotus cars.Colin would have been proud. Thank you. MJK. Kind of you Bibs. Your figures are in the right ballpark. A missed opportunity but the car industry was ever thus sadly. They are unrelated JayEmm. 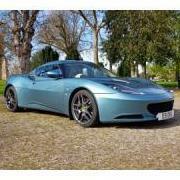 The Evora concept came about when creating & determining the Product Planning for the 5 year Plan I introduced in 2006. It was essential to move up market from the base line Elise entry level models to a "flagship" Esprit replacement with supercar performance and viable margins. The Evora was the next step up market providing a stunning visual impact with high performance, exceptional dynamics and good ingress /egress/luggage space-seven future variants were planned at that time. The 2 seater Mid-engine Esprit was to follow the Evora using a very high performance highly rated engine/transmission package with packaging to suit a 95% ile US male.Certain areas of the Evora were designed and stressed for carryover to the forthcoming Esprit. Updated Business plans in 2008 added a very advanced EV Supercar using Lotus "in house" technology with a major global OEM strategic partner. I think you guys have given me the incentive to continue writing the the real story/book. I am constantly amazed at the sometimes distorted and often inaccurate, so called history of Lotus. Especially the appalling one that I recently read on Wikipedia. It's strange but I didn't recognise that so called History between 1982 and 1991 !!. It is really sadly distorted and very inaccurate. Hello Bibs, Laura and all the great folk I met on Saturday night, Thank you both for all your hard work in arranging Saturday nights fabulous event and for your very kind hospitality. As my first night out in 12 months it was great for me to have the chance to chat to so many wonderful folk who all have the same interest and enthusiasm for our great "Lotus" Marque. The widely varied interests and other cars in their "stables" was a real eye opener, and made me feel very humble to be in such super company. I met so many really nice people on Saturday that I wondered whether you would consider letting me have their e-mail address's so that I could thank them for spending some time talking to me about our great cars and the Company as well as a wide range of other cars, fast Bikes and even possible trips to Denmark! Copenhagen in summer sounds great for a Lotus outing. However as you noted Bibs, it is possible to thank all Lotus Forum members personally through the forum-hence this note. Once again, thank you Bibs and Laura for all you do on behalf of Lotus owners and enthusiasts--you are "Star's". 70,000 visitors on the forum site in one month as you said, is stunning, and a tribute to the effort and dedication you have put in over the past few years. Wishing all Lotus Forum members a great Christmas and a Happy, Healthy and Prosperous New Year. Thanks guys for your kind wishes. 74 down another 26 to go! It always humbles me that you all remember me and I look forward to seeing you all again at some point in the near future. Your wishes and kind words are muchly appreciated. Tony and Bibs keep me appraised of what you are all up to and many of the kind words and mentions of me on the forum. I hope to see you all soon. Very Nice! The second one, not the first. Wrong makes for me. It's good to see Lotus re-establishing the great relationship that I developed for Lotus with McCann Erickson for the launch of the new upmarket Lotus Esprit, Elite and Excel Range worldwide. Steve Hurwitz was a great account Director for us and the board of McCann Erickson and Lotus had a close and mutually succesful relationship. Good luck guys.